UPDATE: the official lineup has been announced! Earlier today, the 12th Annual Bonnaroo Music and Arts Festival announced that ticket pre-sales will begin on Monday, November 26th (known to some as Cyber Monday). Fans can check out the promo video for the pre-sale way down at the bottom. While I’m just personally getting over the fact that Bonnaroo is now well into its second decade of existence (remembering vividly the exciting, zero-expectations-of-what-to-expect sensation of entering the Roo farm’s rickety and hallowed gates almost ten years ago for Bonnaroo 2003), it will once again be interesting and worth looking forward to seeing who headlines this year’s festival after last year’s strong-to-quite-strong Radiohead, RHCP and Phish trio of headliners. With Bonnaroo on the brain today, here are a few educated guesses to go along with a handful of completely uneducated and SPECULATORY wishes as to which artists and bands might-should-potentially-maybe make an appearance on the farm at Bonnaroo 2013. 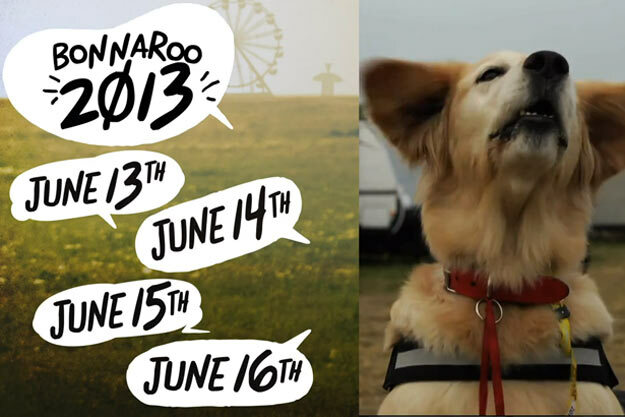 PURE SPECULATION, WISHES & A FEW EDUCATED GUESSES – WHO DO YOU WANNA SEE APPEAR AT BONNAROO 2013? With Sigur Ros setting out on a massive North American tour this spring, perhaps the unclassifiable Icelandic band is ready for a big headlining performance on What Stage (Sigur Ros also appeared at Bonnaroo in 2008). Weeping Elvis has a hankering from an unrevealed inside source that Petty & Co. will return to the farm for their first headlining performance since 2006. Also, the buzz around the possible returns of Nine Inch Nails (Roo 2009) and Reznor side project How to Destroy Angels could perhaps indicate a headlining NIN return or middle-card/much-hyped HtDA set in 2013. …Now wouldn’t this be something: One headlining band combining members from two of the previous year’s headliners (Thom Yorke from Radiohead and Flea from RHCP). Atoms for Peace, like any Thom Yorke/Nigel Godrich-involved project, has been talked about for what seems like a decade (yes, we know, not that long) without any major tour going down. The time is now? (CNN Feature on Atoms for Peace). As we inevitably move further away from the epic decade of music that was the 90s, bands and artists that became popular during the decade have been popping up with regularity the last seven years at Bonnaroo (Radiohead in ’06, Pearl Jam in ’08, Nine Inch Nails in ’09, Red Hot Chili Peppers in ’12) and with Soundgarden releasing their first new album in over 15 years King Animal, an appearance by Cornell & Co. at Bonnaroo would be the band’s biggest headlining slot in some time. After seeing them knock it out of the park at 2011’s Voodoo Experience, this would be a welcome addition to the Bonnaroo festivities. Somewhat unlikely here, but this may rival Metallica in the high-voltage category as the heaviest band to ever headline the What Stage. For what it’s worth (probably not much), RATM did just turn 20. Regardless of whether you loved or hated their chart-busting 2nd LP Babel, it appears Mumford and Sons have already reached festival-headlining popularity and if the massive and overflowing crowd for their set at Which Stage in 2011 was any indication, they could fill out the field in Great Stage Park at What Stage. Perhaps as the earlier act on a dual headliner set up a la Jack Johnson / Pearl Jam in 2008, Stevie Wonder / Jay-Z in 2010 and MMJ / Arcade Fire in 2011. With a 2012 album coming out after the most of the 2012 festival season had passed, a full, proper run through the 2013 festival gauntlet may make sense. Although, making sense of anything AnCo has done up to this point has often been difficult. One can hope to see that amazing set design on Which Stage at a midnight set. ^^ EDITOR’S NOTE: If even 25% of this happened, there would be zero chance of me missing out on making it cross-country for my tenth Bonnaroo. 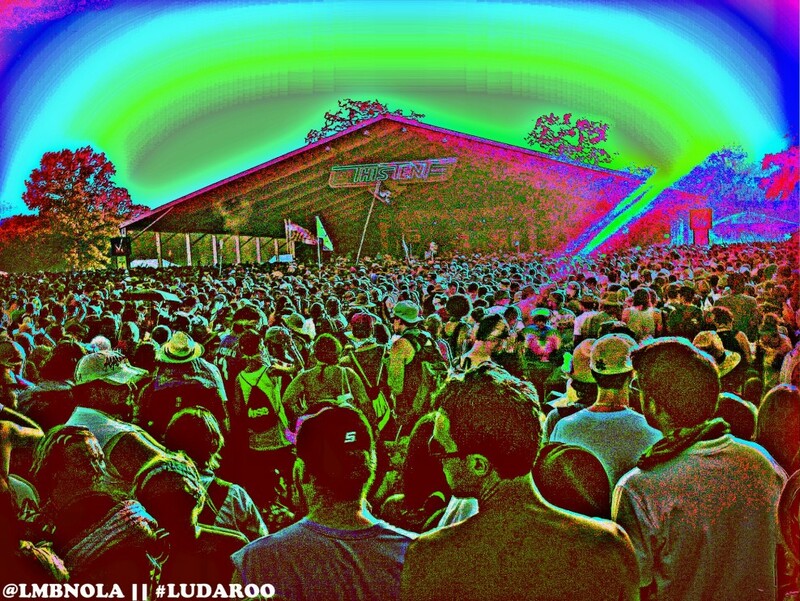 FACT: 85% of Bonnaroovians believe in love and 87% believe in getting weird.